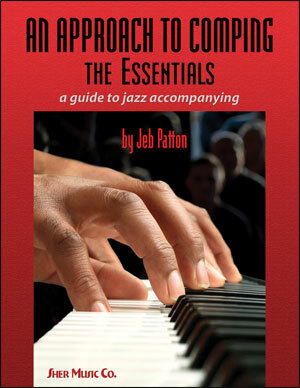 This new book focuses on how to play (or “comp”) behind a jazz soloist. 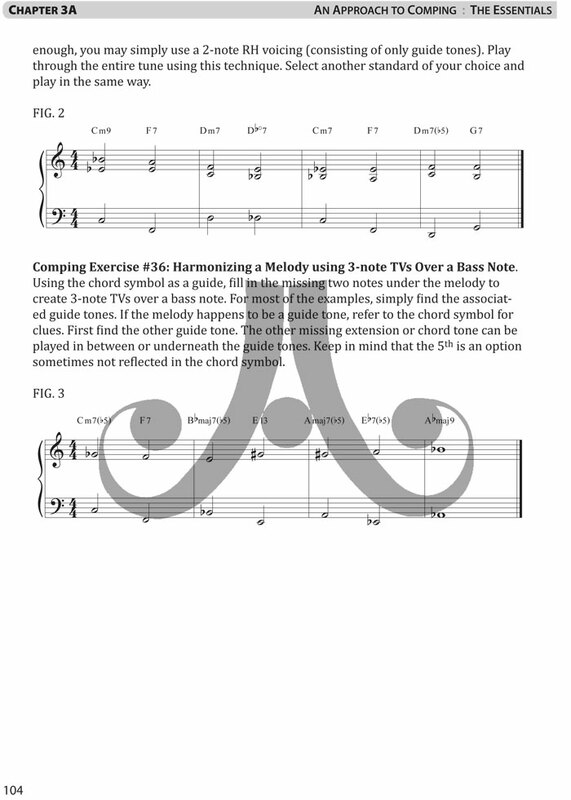 It is a step-by-step guide to basic comping rhythms, voicings, and progressions — as played by the masters. 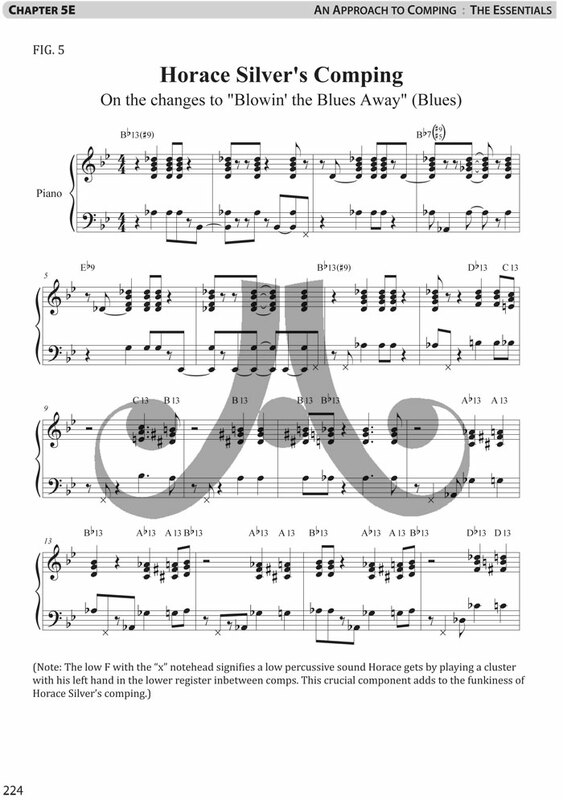 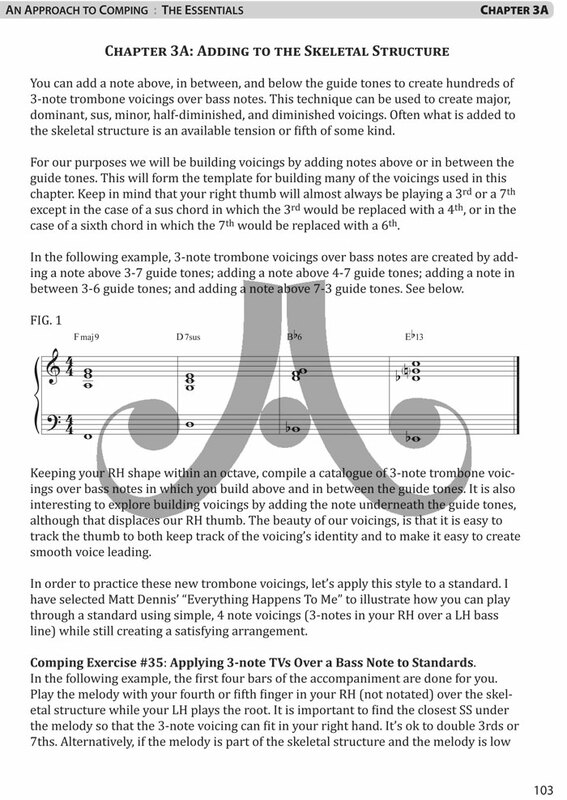 • Basic rhythms and voicings for comping. 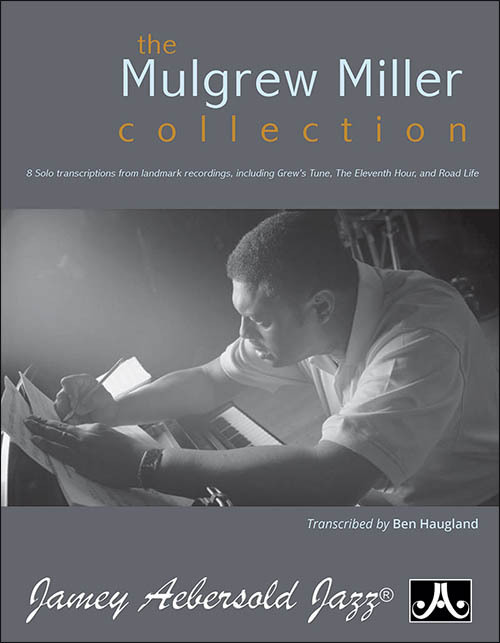 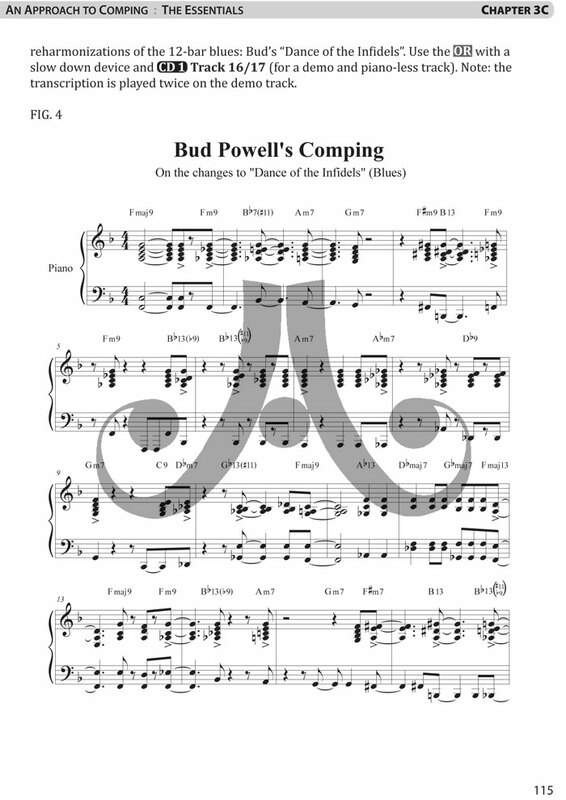 • 11 note-for-note transcriptions of Bud Powell, Horace Silver, Tadd Dameron, and Barry Harris comping behind the soloist. 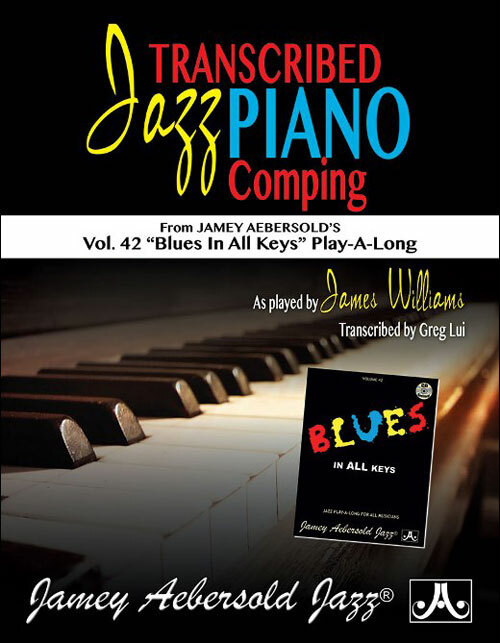 • 3 modified transcriptions in the style of Red Garland, Sonny Clark, and Bobby Timmons comping behind the soloist. 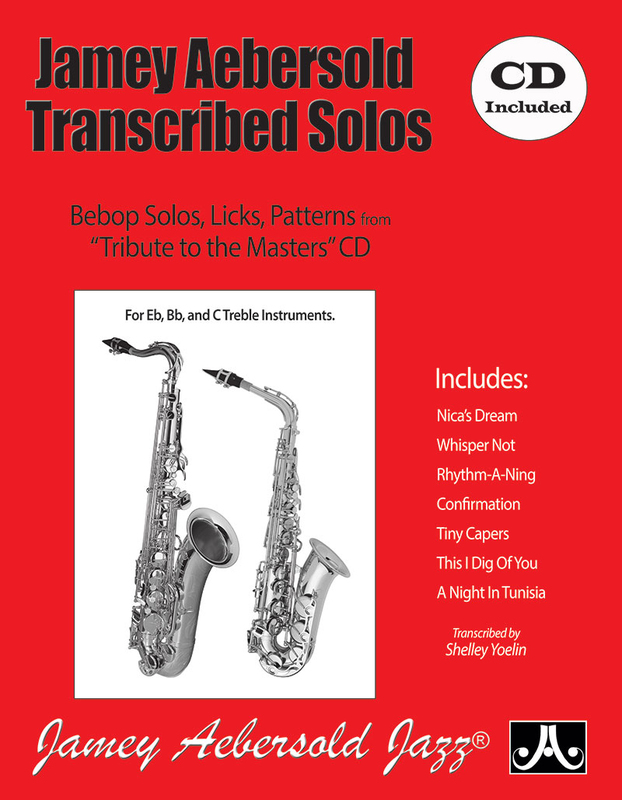 • Comping guides, rhythms, and progressions derived from the transcriptions. 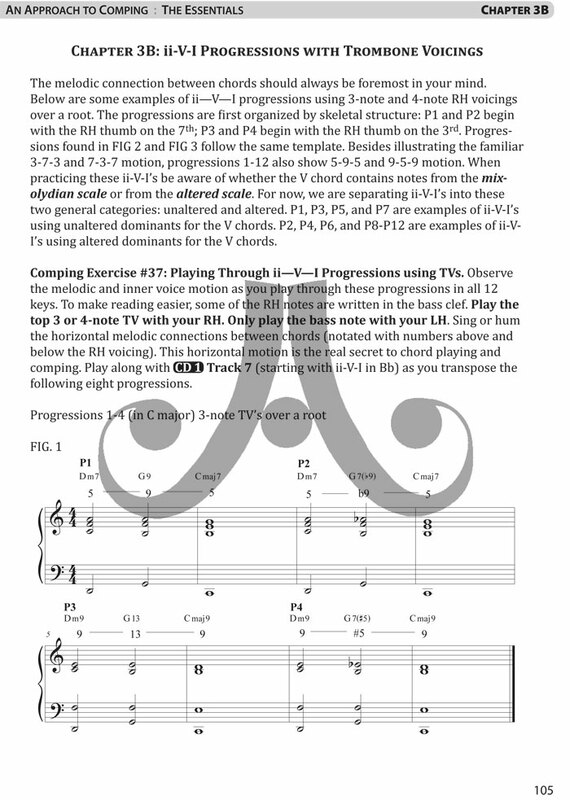 • Over 80 comping exercises aimed at getting the concepts under your fingers. 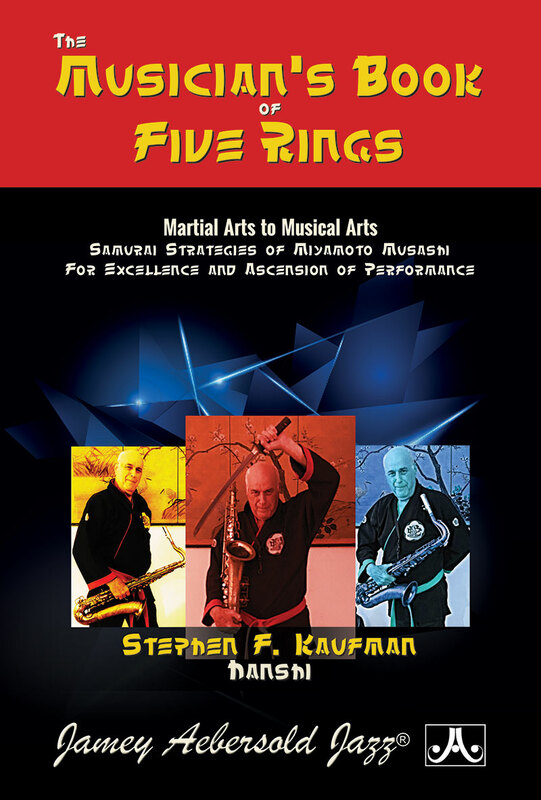 • 2 CD's containing demonstrations and play-along tracks. 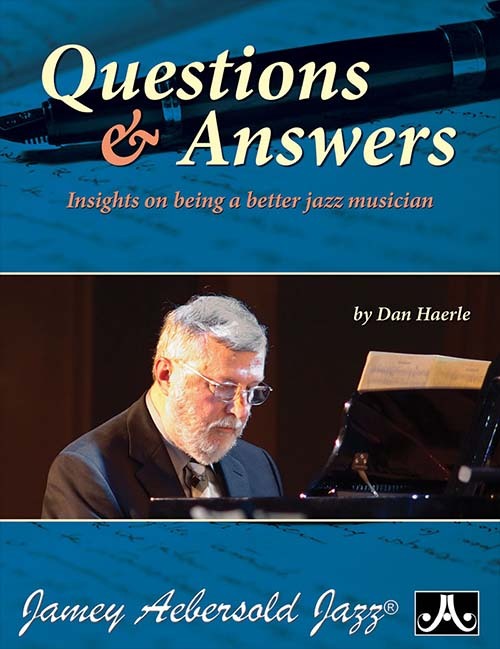 • Interviews about the art of comping by Harold Mabern and Renee Rosnes.